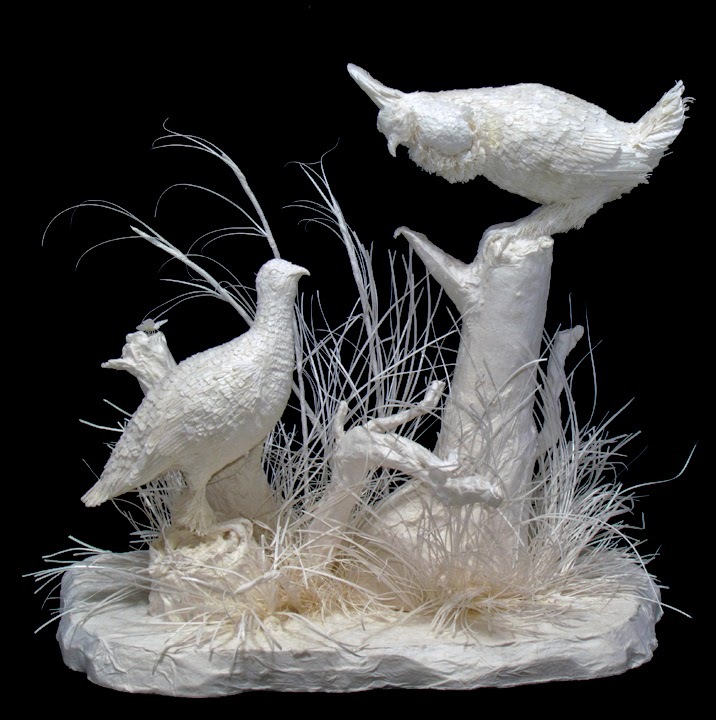 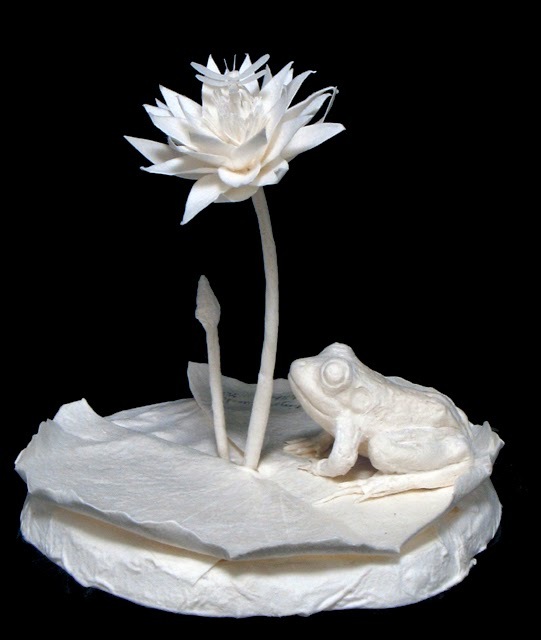 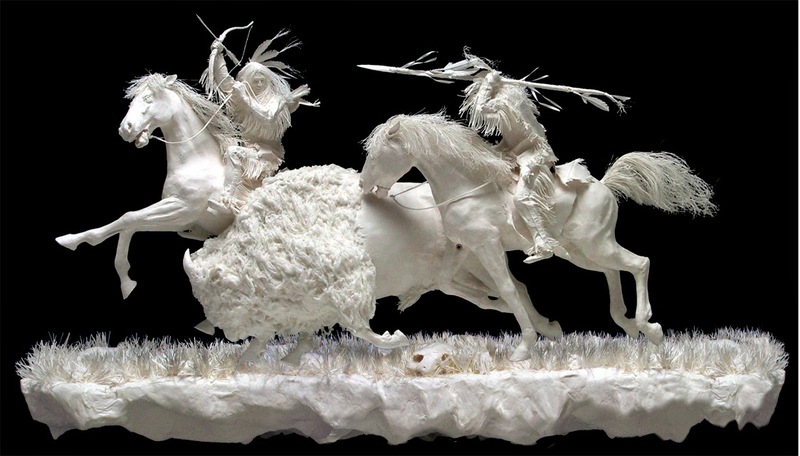 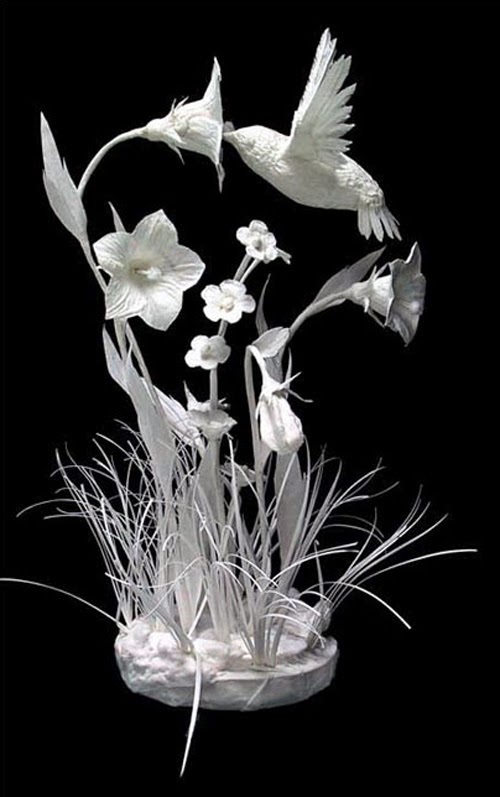 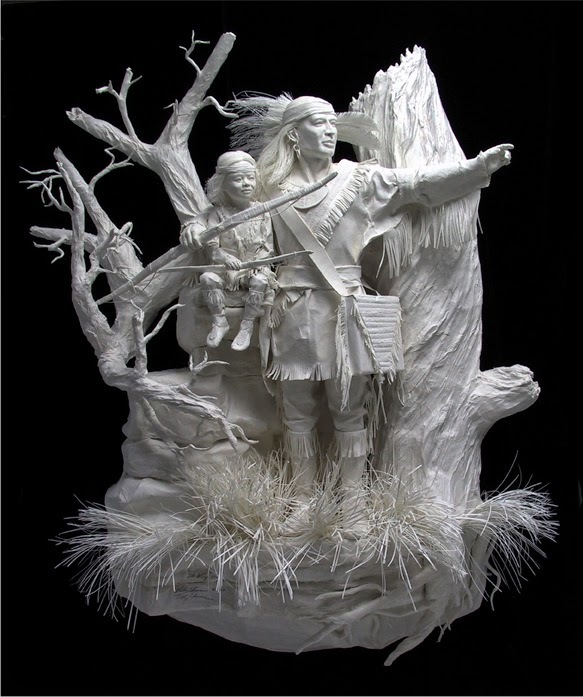 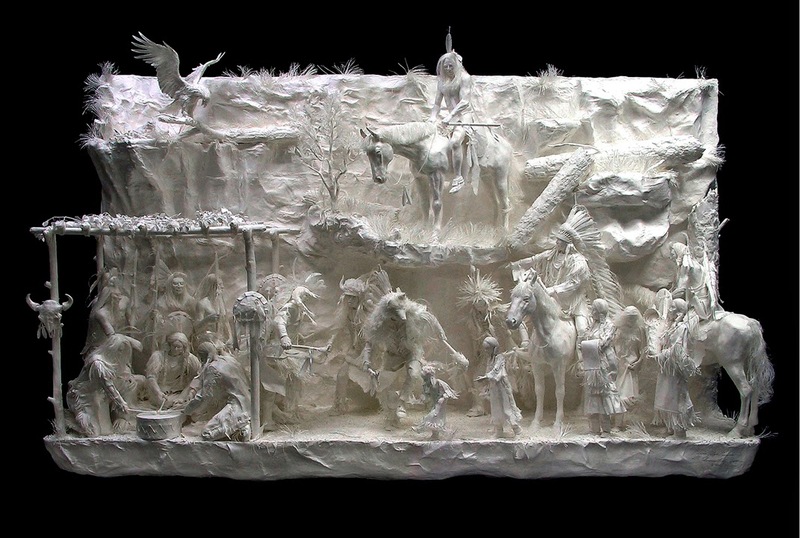 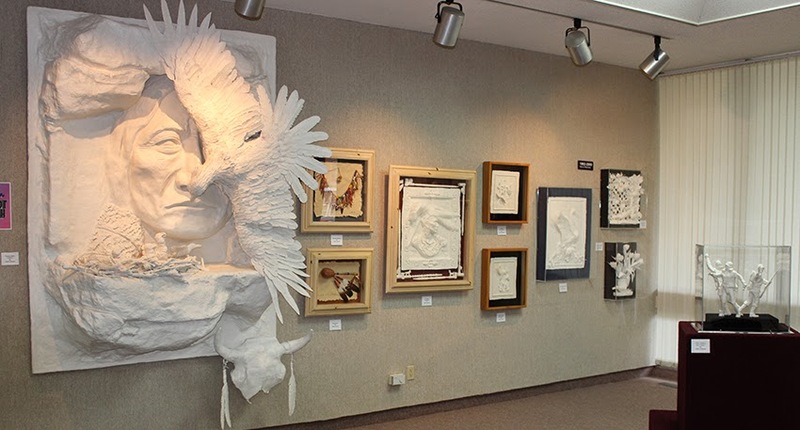 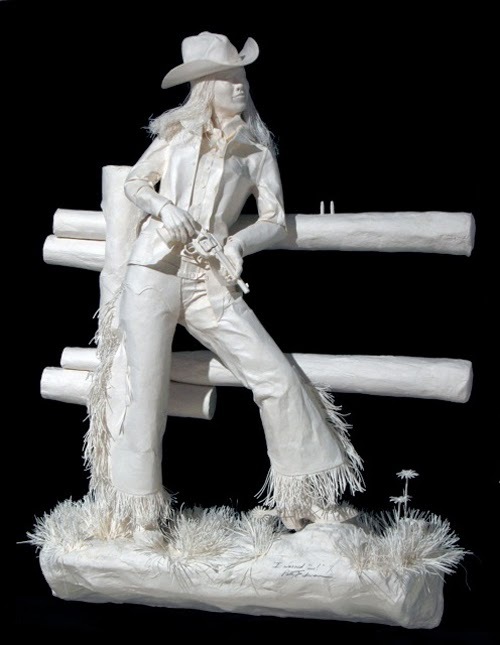 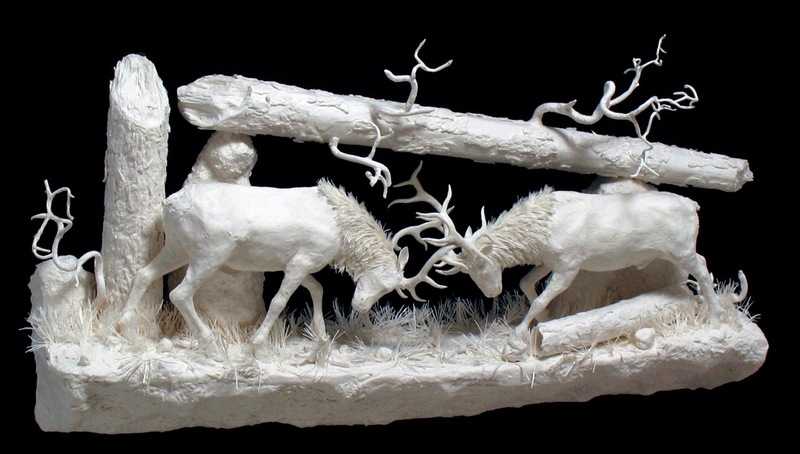 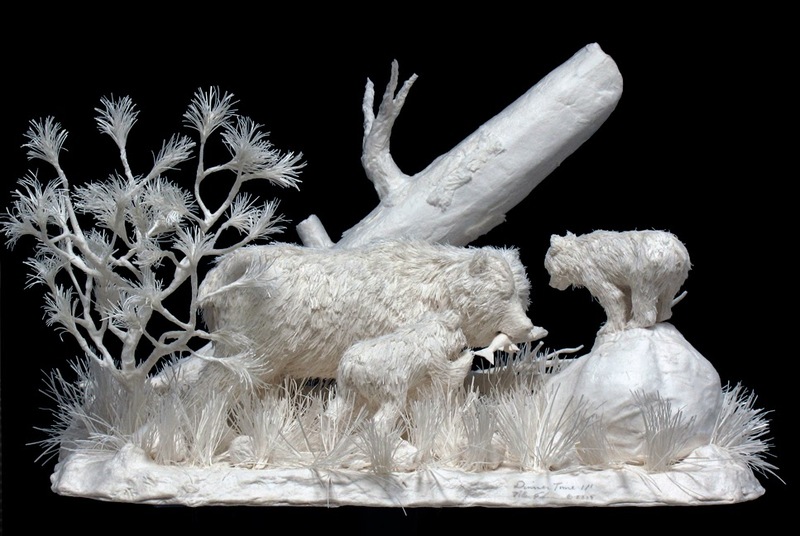 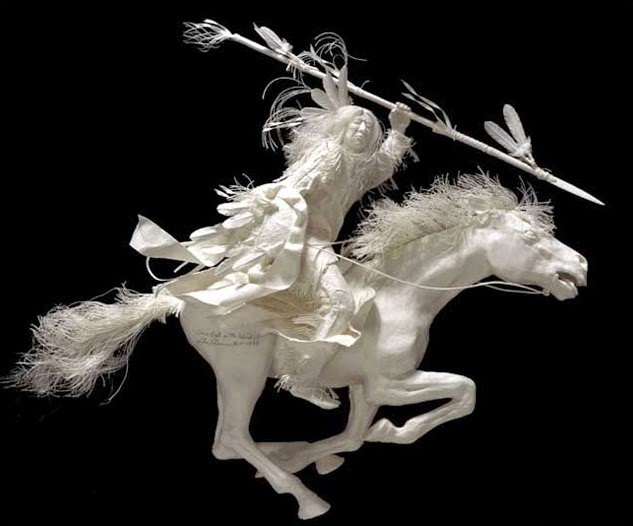 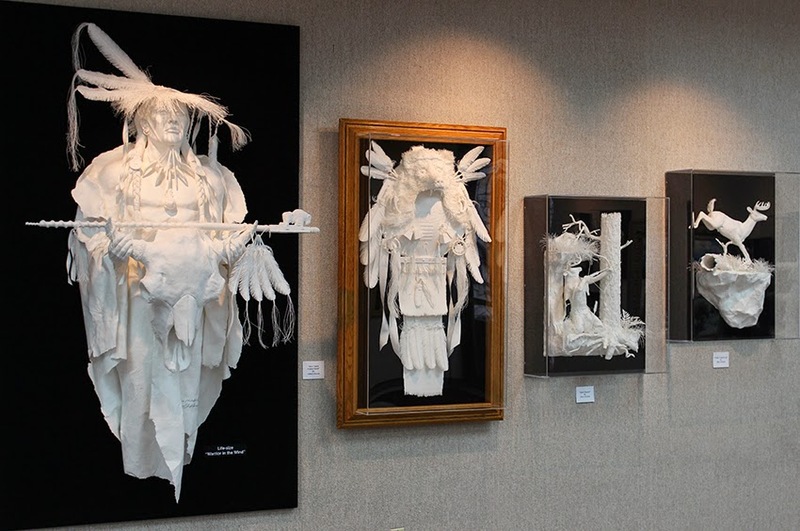 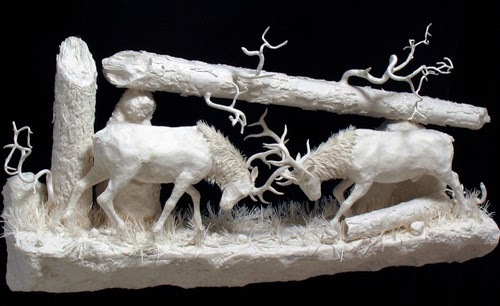 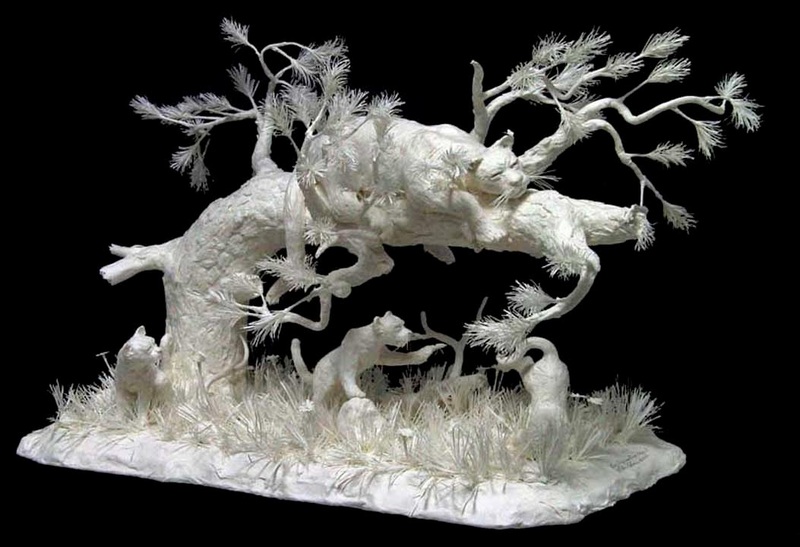 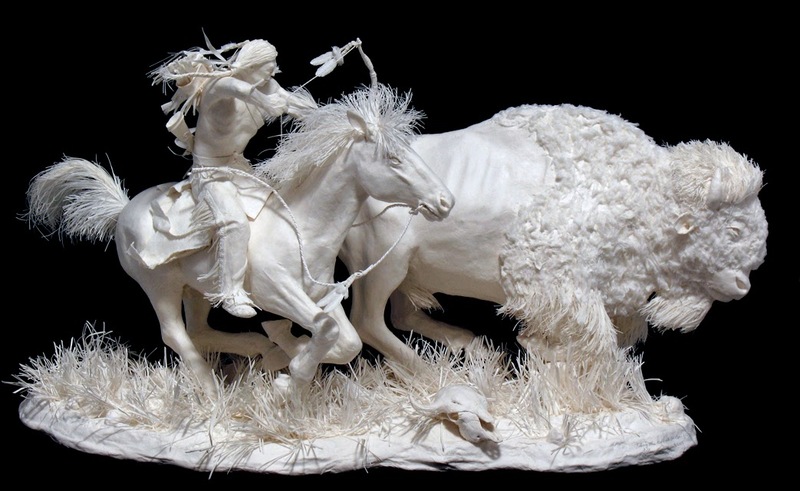 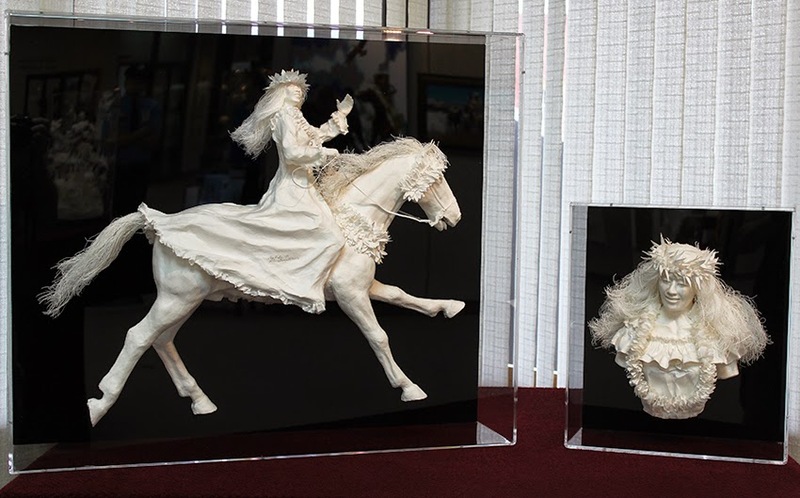 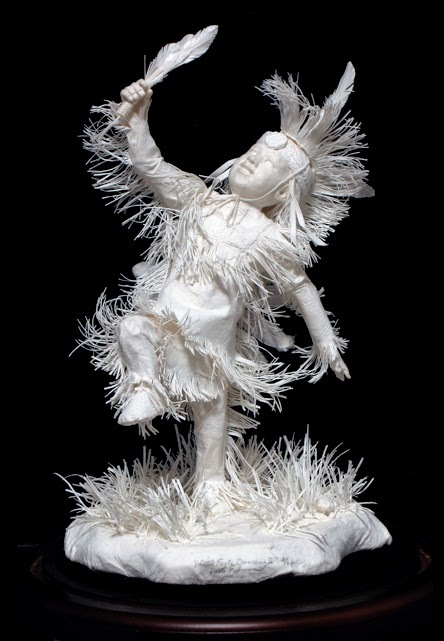 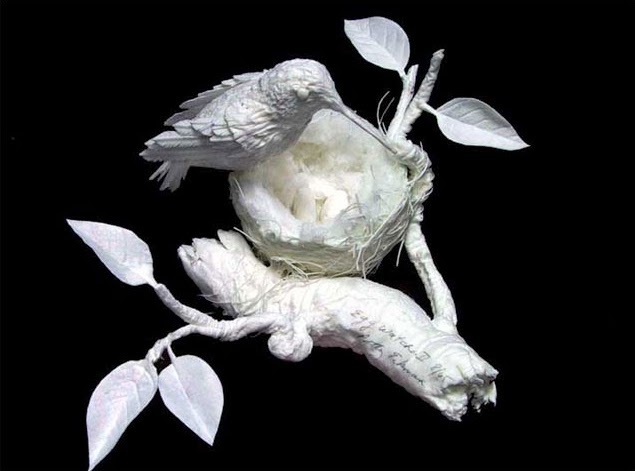 Husband and Wife Allen and Patty Eckman produce these lovely and expressive paper sculptures. 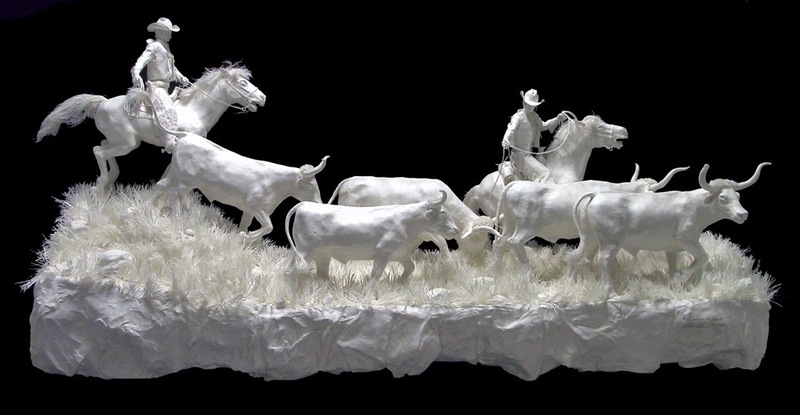 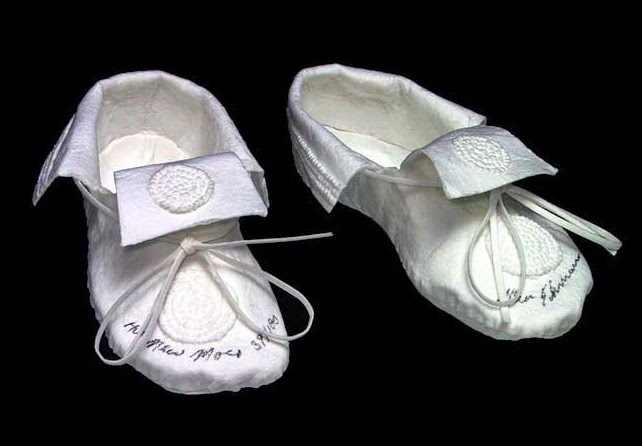 They use a method called Cast Paper, that is said to have originated in Mexico in the 1950s, the Eckmans came up with their own way of working the paper, which they call the Eckman Method®. 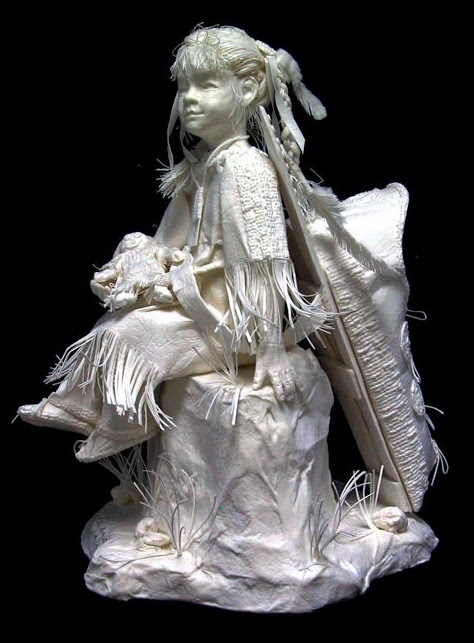 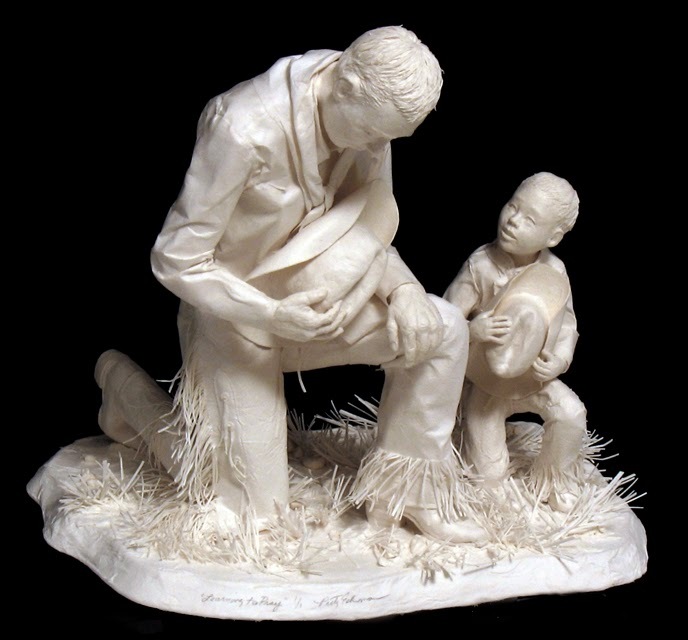 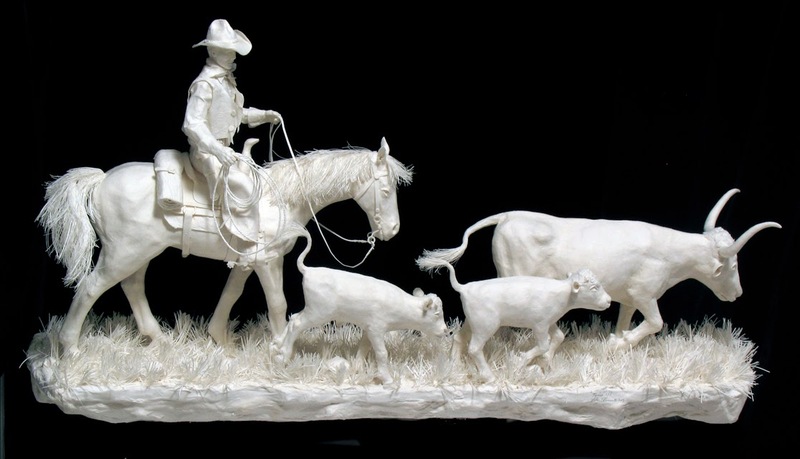 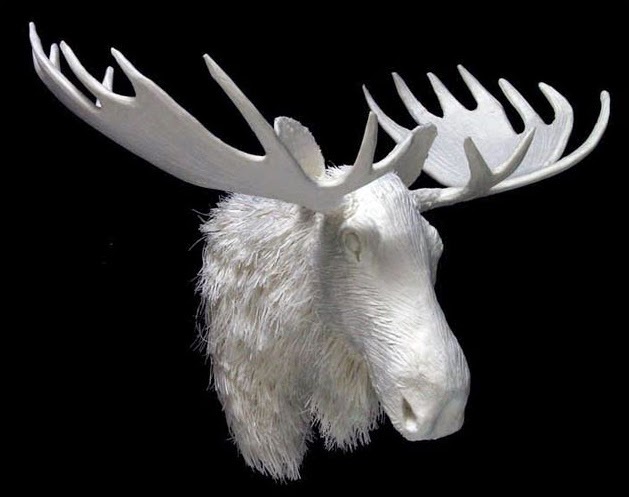 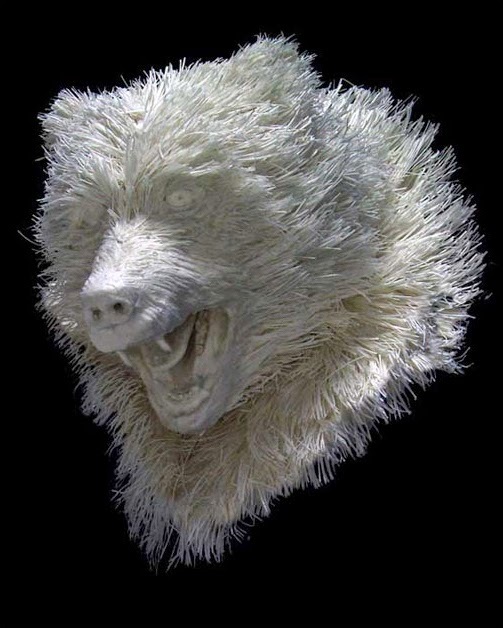 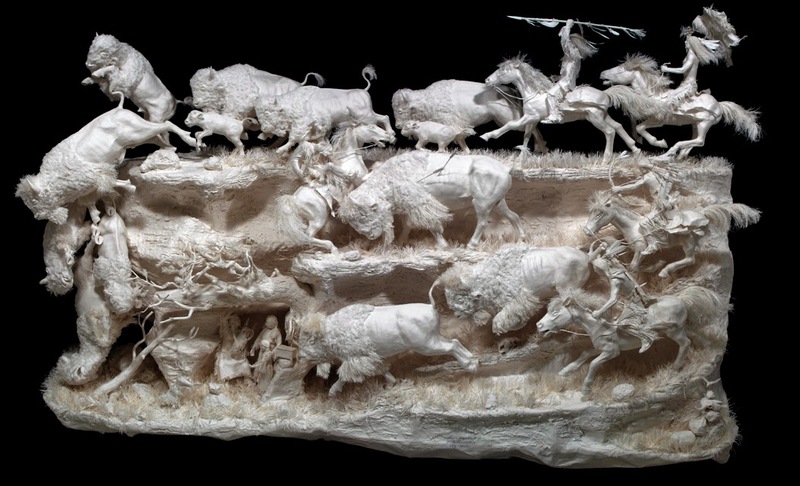 In brief this is the process, a sculpture is made, from that they make a mould, unbleached paper pulp is added to it, then they remove as much as the the water as they can, then comes the real work of sculpting and detailing of the paper. 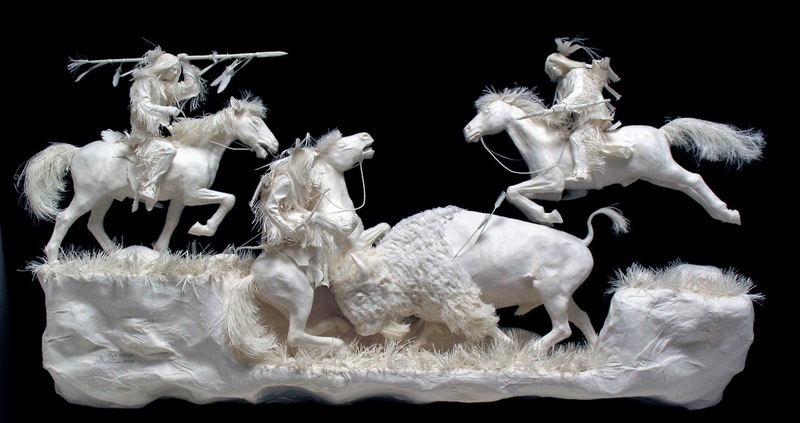 Depending on the size and the level of detail of the piece, it can take a few months to complete. 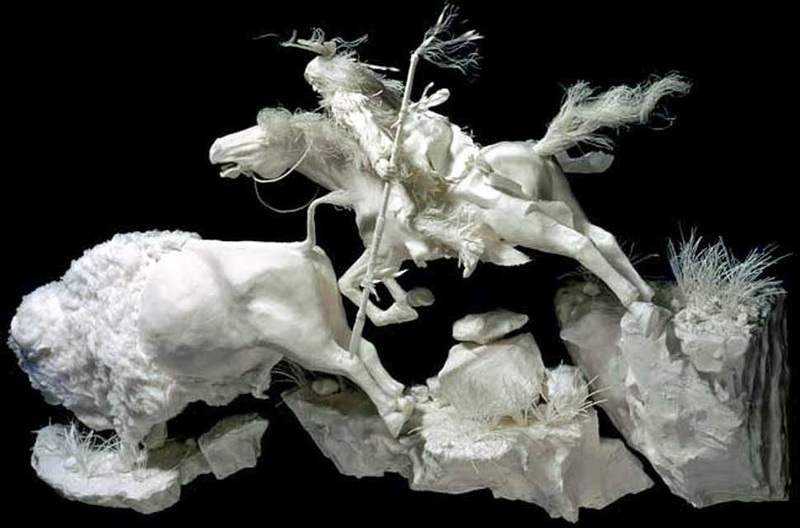 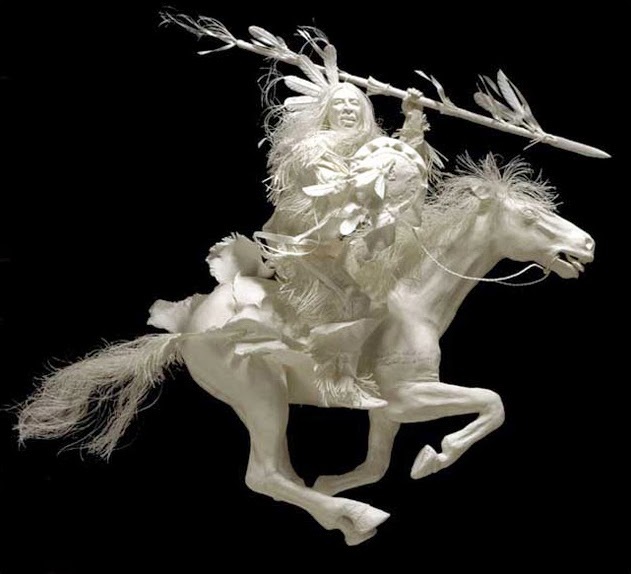 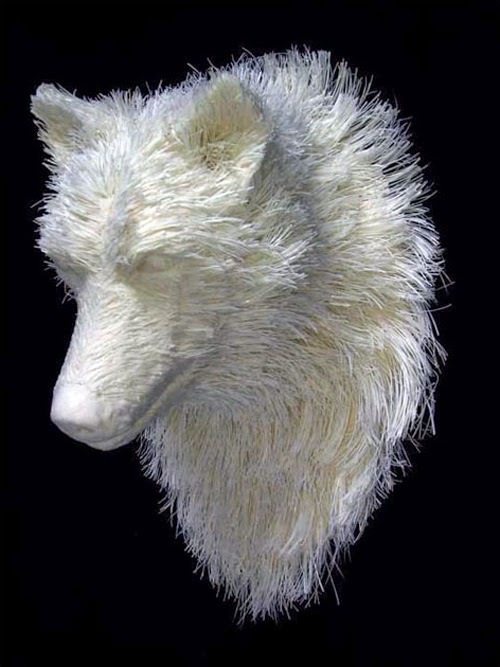 Because the light colouring of the sculptures, you will be able to see more of the details, if you enlarge the images, once in the article you can enlarge the image by pressing it (not the first one).